Radisson RED Glasgow Rocks completed a weekend double with victory over Worcester Wolves to close the gap in the battle for the Play-Offs. The Rocks backed up Friday’s home win as they improve to 10-11 in ninth with the Wolves now at 3-21. Turning point – The Rocks recovered from a seven-point deficit at half-time with a dominant 32-12 third period as they turned things around to lead by 13 ahead of the fourth and that would be the final winning margin. 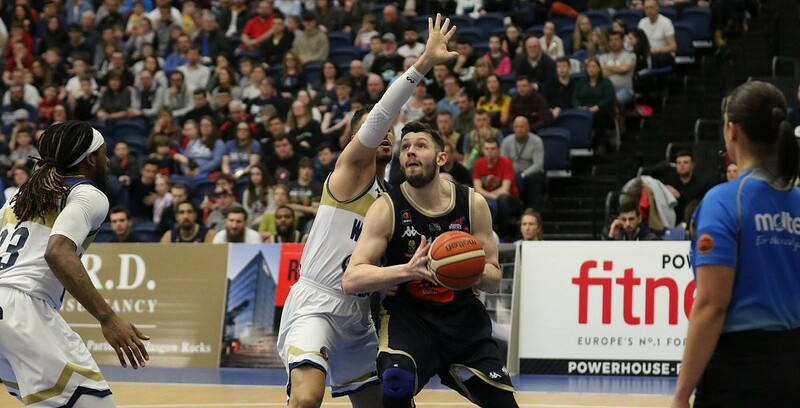 Key stat – Glasgow were efficient inside as they shot 62% and were powered to victory with 52 points off the bench compared to 8 for the Wolves. Game hero(es) – Achara top scored with 21 points off the bench, while there were key contributions from Zeigler – who went 9 of 11 for his 19 points – and Rinkunas who finished with 15, while Ali Fraser had 13 points and nine rebounds.